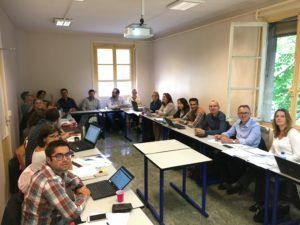 October, 3rd : Partner University of South Brittany went to INRA, Nantes for two meetings. The morning was dedicated to the organisation of the next conference scheduled for april 2019 in Nantes. 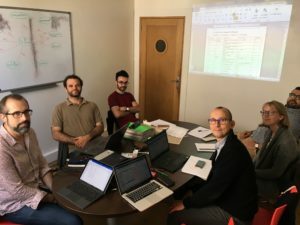 The afternoon, they discuss about the first actions to implement for the thesis of Maxime Gautreau, co-supervised by Johnny Beaugrand and Fabienne Guillon from INRA and Alain Bourmaud from UBS. (→ More information abouth the thesis). October, 16th: Partners UBS, INRA, Depestele and Kaïros met in Concarneau (Kaïros) to define the specifications of the reinforcement developed by Depestele that will be integrated in the foiler sailboat. 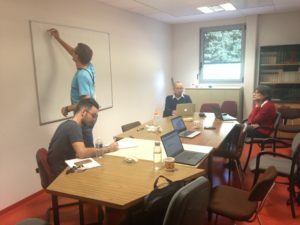 It was also the opportunity for Emmanuelle Richely, Maxime Gautreau (new PhD students in INRA) and Davy Duriatti (Depestele) to visit Kairos premises. 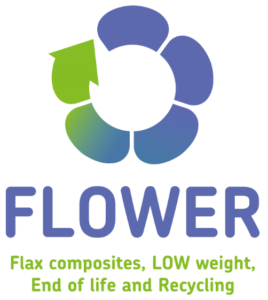 Two days later, on October 18th, all the FLOWER partners gathered together in Paris to attend the Partners Training presented by the Interreg VA FCE Joint Secretariat. 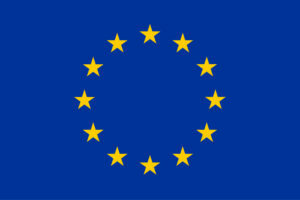 A day full of informations !